Gettysburg National Military Park’s Artists-in-Residence for January/February 2017 is Nicholas Collier, a U.S. Military veteran and FSU Art Alum (MFA ’16) who will pursue photography, sculpture and film-making during his month-long residency on the Gettysburg battlefield. Collier received his BFA from George Mason University, Virginia, in 2012 and his MFA from Florida State University in 2016. Collier works as an interdisciplinary artist, employing photography, social practice, and sculpture to explore the intersection of ideas revolving around place, history, and contemporary culture. His work has been shown in galleries in Washington D.C., Virginia, and Florida. He lives in St. Petersburg, Florida, where he splits his time between his studio practice, the development of his start-up Aloft Aerial Imaging, and working as a residential remodeler. “Art has helped me move on from things you do in war, that aren’t permissible in society,” said Collier, whose art reflects on war, combat, and military themes. His residency will allow him to take inspiration from the historic battlefield of Gettysburg and how it reflects on the battlefields and soldier life today. Collier arrives on January 15, and will do a “meet the artist” event and display at the Gettysburg National Military Park Museum and Visitor Center on Feb. 11, from 11 a.m. to 1 p.m. This event is free and open to the public. 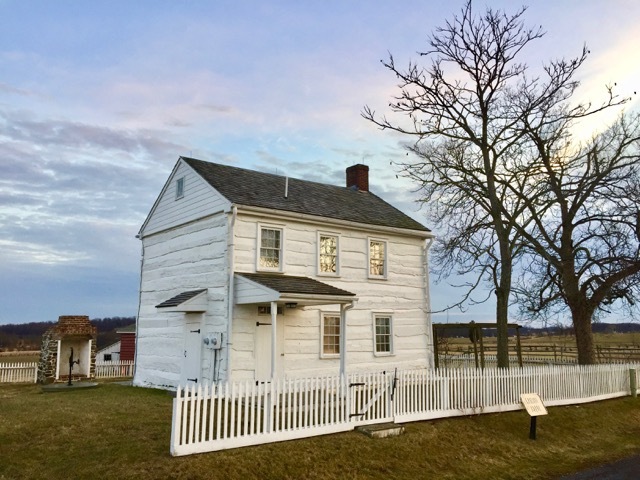 The National Parks Arts Foundation (NPAF), a 501(c)3 non-profit, has expanded its Artist-in-Residence program Service at Gettysburg National Military Park to include 12 artists over 12 months. 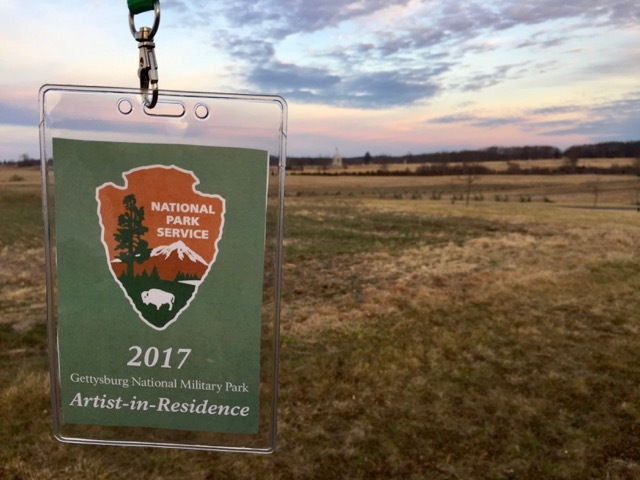 The Gettysburg Foundation supports the Gettysburg program which has become a model for artist residencies in all of the national parks. U.S. Military Veteran Artists: During January, July and November 2017, Gettysburg’s Artists-in-Residence will be U.S. Military Veterans, bringing a unique perspective to arts in the park. Arts Revolver: Open to any and all artistic media including cross-overs or hybrids with any of the other programmatic themes. LiterAudiArts: NPAF’s most fascinating AiR programmatic theme focuses on many and all Linguistic, words, sounds, song and music. A few examples of this are poetry, screenplays, spoken word, environmental recordings, sound art, wall of sound experimentation. NPAF selects any sort of artist for national park residencies, from traditional landscape painters, photographers, to performers, installations, films/video, as well as writers, poets, sound artists, and new arts media. More information about these opportunities is available at www.nationalparksartsfoundation.org.